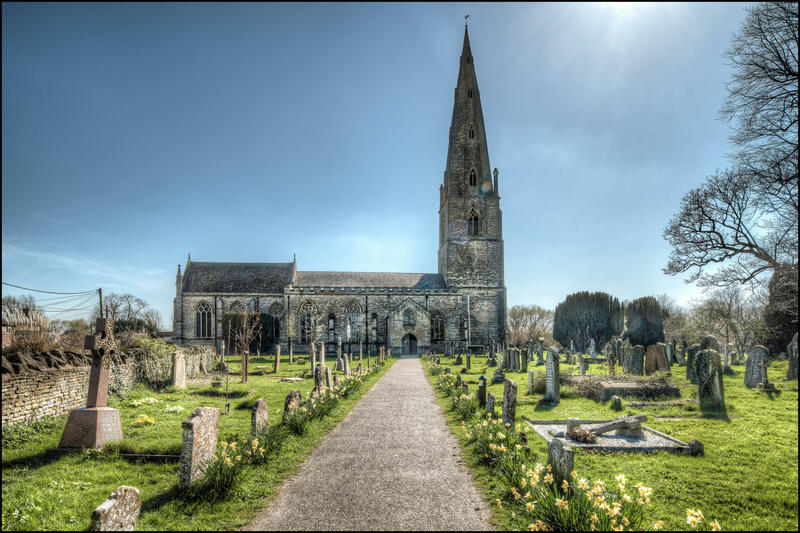 Olney, in the county of Buckinghamshire, attracts many U.K and overseas visitors and we will be delighted to welcome you here. We also hope to entice people in the local area to visit more! Visit Olney aims to provide you with an insight into life in Olney, as well as tourist information to help you make the most of your time. 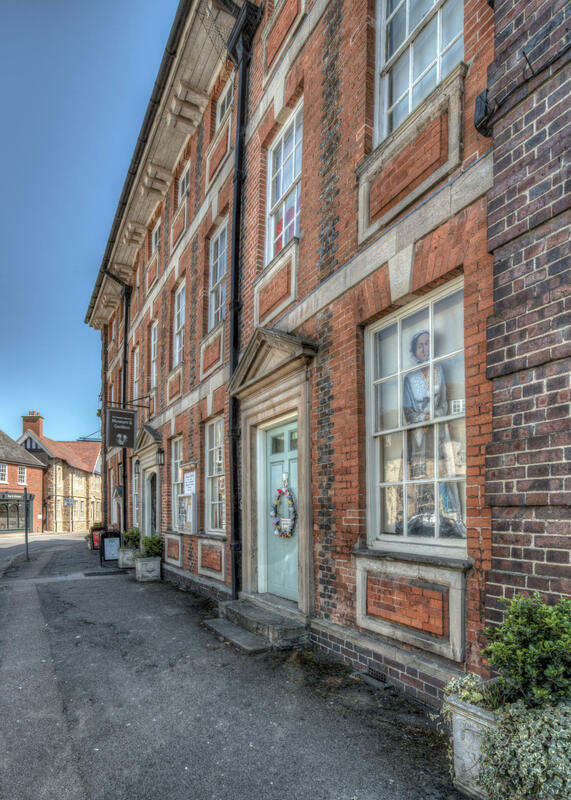 You will find features on our history and heritage, places to see, and the small shopkeepers and cafe owners who are the welcoming face of the town. 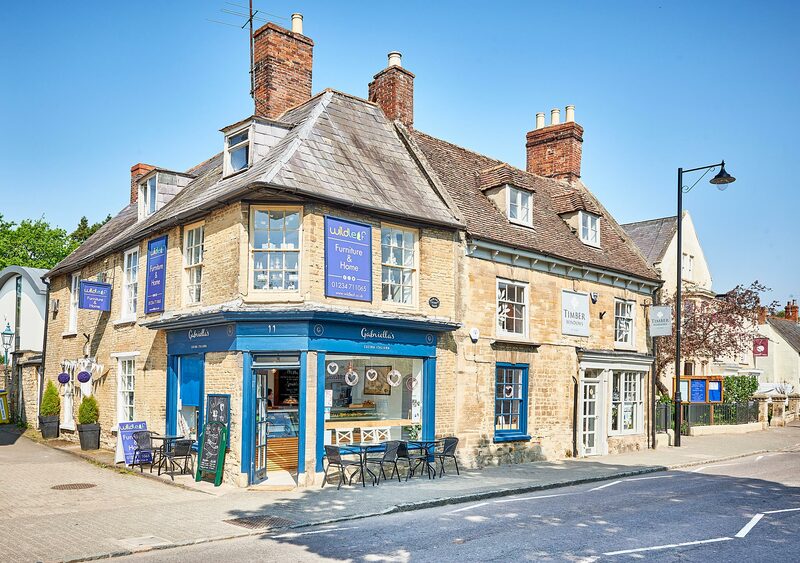 With so many independent shops, boutiques and antique and vintage outlets, Olney offers you some great shopping experiences. Do try and find the ‘hidden’ courtyards off the main Market Place and High Street: Fountain Court and Rose Court. But our history and heritage are a big draw too. The town holds the world famous Olney Pancake Race. Every year, the media descend to see local women dressed in traditional dress as they run the course from The Bull Inn to church, complete with frying pan, of course. Among the considerable crowd for the race every Shrove Tuesday (around Easter time) you’ll hear many different languages being spoken. 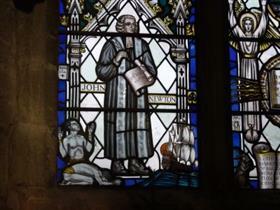 Many international visitors are drawn to Olney because of the legacy of John Newton. His conversion to Christianity followed a great storm when he was a seafarer. A stained glass window in the church of St Peter and St Paul depicts his ship and also has his portrait. Once been a slave-trader and ship’s captain, his conversion turned him into a prominent voice in the abolitionist movement. His repulsion at his earlier role led him, as curate of the parish church, to be a spiritual influence on William Wilberforce. His hymn is celebrated as one of the most beautiful ever written: “Amazing Grace”. With the poet William Cowper, also resident in the town, he also wrote other “Olney hymns”. 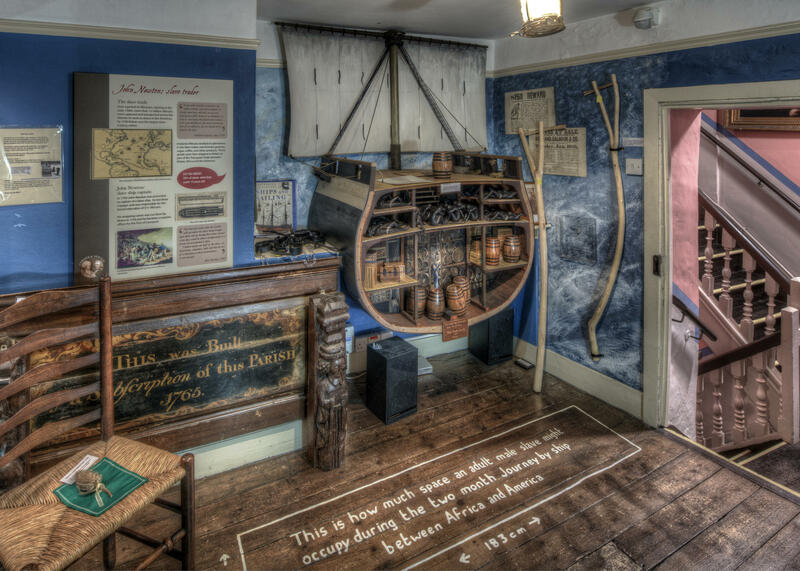 Although the museum has international renown for its its literary links, it also aims to tell a wider story about 18th Century life and has had significant recent refurbishment. Whether it is shopping or heritage trails you enjoy, there is a great choice of outlets for refreshment after exploring. People also visit from neighbouring towns to enjoy a day out choosing a new kitchen, enjoy a beauty treatment or therapy or to get a re-style and there are plenty of health and beauty places to make it a day out with a difference. We hope over these pages to introduce you to many of the small businesses and those who work hard to run then. All of us will be happy to welcome you to Olney.